The guide provides you with the basic know-how and resources needed to have a greater say in the policies that affect your communities. An initiative of the Office of the Public Advocate’s new Community Organizing and Constituent Services Department, this guide gives individual New Yorkers and community groups a better understanding of how New York City government works, what you can do to make your government more responsive, and how you can help make this a better city. Central to that process are the organizing efforts of people like you. This manual will provide a starting point from which you can learn to identify an issue and begin to organize in order to shift the existing power relations and begin to effect real, tangible change in your community. The concepts presented here are adapted from Organizing for Social Change: Midwest Academy Manual for Activists (2001) by Kim Bobo, Jackie Kendall, and Steve Max. All references here are to this book. Bobo, Kendall, and Max take a Direct Action approach to organizing. This approach differs from other approaches in that is organizing done by the people with the problem, instead of an outside organization fighting on their behalf. When it was decided to develop this handbook, it was agreed that the concept of a community organizer would be something that may need some explanation. The word “organizer” may conjure up negative images, but those images are not the reality. A community organizer is a person that listens to, and mobilizes, people to make their community a better place. Some people may call this a community builder or a community coordinator. In this section you will learn about the history of community organizing. You will also be introduced to some tools and strategies that can help you organize your community. Community organizing as practiced in the United States has as its roots the work of Saul Alinsky (1909 -1972). Alinsky’s work, begun in Chicago and then moved to other American cities, can most simply be described as the transferring of concepts and strategies used in the American labor movement for greater worker justice, to poor and ethnically diverse large urban neighborhoods in order to improve city services and the quality of life in these residential neighborhoods. The present paper written by Dave Beckwith is talking about the Four Strategies, What is Community Organizing, The Principles of Community Organizing, The Ten Rules of Community Organizing and Defining an Action. A series of papers aiming to capture and document growing knowledge around youth organizing, and address key issues and questions commonly posed by funders and practitioners about the work and field overall. 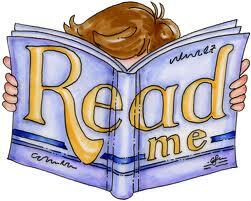 You’ll find a full list and summary descriptions of the Occasional Paper Series on the link above. The Toolkit is a set of resources that supports face-to-face training for residents and community leaders. The computer-based component (the “Organizing Game”) is used to introduce concepts, prompt discussion, and allow residents to practice skills in a safe, non-threatening environment. The initial focus of the Toolkit is teaching Doorknocking, an organizing technique that’s particularly effective in moving issues within a local community. The toolkit represents an assemblage of exercises and tips created by LCAT, as well as, a range of advocacy sources and are divided into six sections from topics on “Defining an Issue” to “Mobilizing the People”. Through the use of this toolkit you can begin to work successfully in engaging communities around a common goal. Historically disadvantaged communities have been under-represented or misrepresented for too long. Our communities have always held the power to rise up and take action for their rights. This toolkit offers ways to help communities recognize this power, use it, and bring about social change. A web site designed to support people and groups who are working for inclusion, racial equity and social justice. The site includes ideas, strategies and tips, as well as a clearinghouse of resources and links from many sources. Racial Equity Tools is organized into four main areas. The first page of each section has an overview of the resources and tools in that section. Several also have questions or suggestions to help you think about what needs to happen at this point in a change process. At the end of each section are Tip sheets. Tip sheets provide more detail about one topic, often a particular part of a change process. Now in its fourth edition, here is the comprehensive manual for grassroots organizers working for social, racial, environmental and economic justice at the local, state and national levels. This Midwest Academy Manual for Activists is central to its training programs and seminars, and it provides an invaluable reference source for organizers throughout their careers. Also included are anecdotes about a wide variety of real organizations working on issues concerning labor, the environment, health care, racism, immigration, peace, religion, energy, public campaign financing and more. Whatever the progressive cause, this is the manual that can help guide organizers and ensure that they continue to reach their goals with efficiency and dignity. First published in 1971, Rules for Radicals is Saul Alinsky’s impassioned counsel to young radicals on how to effect constructive social change and know “the difference between being a realistic radical and being a rhetorical one.” Written in the midst of radical political developments whose direction Alinsky was one of the first to question, this volume exhibits his style at its best. Like Thomas Paine before him, Alinsky was able to combine, both in his person and his writing, the intensity of political engagement with an absolute insistence on rational political discourse and adherence to the American democratic tradition. On a casual level, it is a story or biography covering his involvement in the civil rights movement, his influence from his family and rabbi father, friendships and connections he made. Plus a little side trip to seduction and firearms. It is also a mini history lesson from a personal viewpoint about a critical time in the growth of this country’s awakening to civil rights and justice. If you yearn to help make the world a better place but wonder how to do it, look no further. In this unique book, legendary organizer and musician Si Kahn regales us with entertaining, funny, sad, dramatic, and inspiring tales of his work in some of the most important progressive struggles of the past fifty years. Si addresses not just strategies and tactics but how creative community organizing can prod us to learn new skills, encourage us to take risks, and transform us into practical visionaries for justice. The Lakeview Action Coalition (LAC) in Chicago is a non-profit, multi-issue community organization. The Coalition is comprised of 49 institutional members, including religious congregations, non-profit agencies, banks, business associations, a credit union and a senior citizens caucus. These diverse institutions are stakeholders in the Chicago communities of Lakeview, Lincoln Park and North Center. Since the founding establishment in 1993, they have fought for justice, solidarity and diversity. 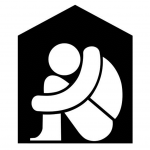 Since 1980, the Chicago Coalition for the Homeless (CCH) has followed a clear mission: “We organize and advocate to prevent and end homelessness, because we believe housing is a human right in a just society.” We are the only non-profit in Illinois dedicated to advocating for public policies that curb and can ultimately end homelessness. Our organization leads strategic campaigns, community outreach, and public policy initiatives that target the lack of affordable housing in metropolitan Chicago and across Illinois. In addition, CCH presses for access to jobs, training, and public schools. 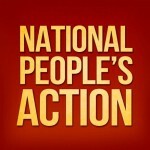 National People’s Action (NPA) is a network of grassroots organizations with a fierce reputation for direct action from across the country that work to advance a national economic and racial justice agenda. Founded in 1972, National People’s Action’s (NPA) core purpose is to develop the ideas, talent, and organizations that will help reclaim our democracy and advance racial and economic justice. NPA has over 200 organizers working to unite everyday people in cities, towns, and rural communities throughout the United States through direct-action, house meetings and community organizing. Founded in 1962, The Logan Square Neighborhood Association is a nonprofit, multi-issue, grassroots community organization serving the multi-ethnic communities of Logan Square and the Lathrop Homes area of Chicago. The LSNA’s mission is to convene networks of neighbors, schools, businesses, social service agencies, faith communities, and other organizations to collaborate for thriving communities in Logan Square, Avondale, and Lathrop Homes. LSNA is committed to empowering and maintaining these communities as diverse, safe, and affordable neighborhoods in which to live and work, learn and grow. LSNA develops local leadership to identify, strategize, and organize around significant community issues that impact their lives such as affordable housing, school reform, living-wage jobs, land-use and zoning, economic development, health care, and neighborhood safety. The Harriet Tubman Center was founded in 2006 to fill a void in the recruitment and development of professional community organizers. The Center began with conversations among congregation centered community-organizers, university students and professors, union organizers, and independent young organizers seeking solidarity, professional development and wider career options. The vision of the center is that: organized individuals can collectively improve the quality of life in their community. Through their work in faith communities, neighborhoods, on college campuses and in workplaces, intern organizers of the Harriet Tubman Center recruit leaders to build the power of communities to create positive change. Founded in 2008, the Mahoning Valley Organizing Collaborative (MVOC) is an innovative community organization that brings together neighbourhood, faith-based and labor groups in Trumbull, Mahoning, and Columbiana counties to build the capacity necessary to create sustainable change in our community. At MVOC, we are dedicated to improving the quality of life throughout the Mahoning Valley by identifying and developing grassroots leaders, cultivating healthy neighbourhoods, and building power to address inequality and promote racial, social, and economic justice. Community Voices Heard (CVH) is an organization of low-income people, predominantly women with experience on welfare, working to build power in New York City and State to improve the lives of our families and communities. We are working to accomplish this through a multi-pronged strategy, including public education, grassroots organizing, leadership development, training low-income people about their rights, political education, civic engagement and direct-action issue campaigns. We are currently working on welfare reform, job creation, public housing and other economic justice issues that affect low-income people, particularly low-income women of color. Virginia Organizing, founded in August 1995, is a state-wide grassroots organization dedicated to challenging injustice by empowering people in local communities to address issues that affect the quality of their lives. 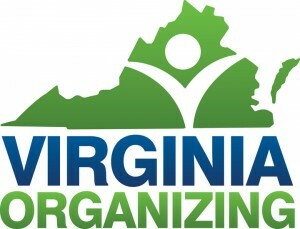 Virginia Organizing especially encourages the participation of those who have traditionally had little or no voice in our society. By building relationships with diverse individuals and groups throughout Virginia, Virginia Organizing enhances their ability to work together at a state-wide level, democratically and non-violently, for change. The overall purpose of Virginia Organizing is to create a strong political force for long-term change which has a diverse grassroots base and includes people who have not been active before. 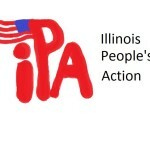 Illinois People’s Action (IPA) is the state’s largest faith-based community organization. The mission of IPA is to organize for justice in local communities and throughout Illinois’ urban and rural communities. IPA works with local grassroots and faith leaders on wide variety of justice issues they themselves identify. IPA provides leadership training and development, staff support and consultation, and access to institutional and financial resources. IPA uses the democratic power of the people to engage in civic dialogue with decision-makers. 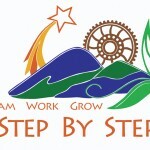 Now celebrating its 25th anniversary, Step by Step, Inc. is a regional, grassroots, non-profit organization serving eight counties in rural and urban West Virginia. Step by Step ensures that disadvantaged children living in geographically and culturally-isolated communities receive continuous, comprehensive care from birth to independent adulthood. Whether at our community centers, in our after-school and summer programs, or as part of our home visits, at-risk children, youth, and their families have access to free education services, healthcare, economic support, and an array of training and advocacy resources. Along with a broad network of local, state, and regional partners, Step by Step empower children and their families to “dream, work, and grow” together. Since 1979, Sisters Of The Road has been an essential part of the Old Town/Chinatown neighbourhood. Sisters offers a space to build community, empower ourselves, learn from one another, dine with dignity and organize for justice and human rights for all. Sisters’ Mission: Sisters Of The Road exists to build authentic relationships and alleviate the hunger of isolation in an atmosphere of non-violence and gentle personalism that nurtures the whole individual, while seeking systemic solutions that reach the roots of homelessness and poverty to end them forever. 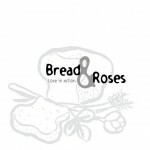 Bread & Roses is a non-profit intentional community. We are dedicated to creating a world that is organized by the principle of generosity rather than self-interest. Bread & Roses has lovingly served the homeless, the poor, and the marginalized of Thurston County for over a quarter century. Bread & Roses is, first and foremost, an intentional community. Our commitment to social justice is realized in the daily hospitality that we offer to the homeless – a warm, comfortable, and nurturing home in which to heal from the traumas of street life. From civil rights to community planning, and from volunteerism to community organizing, Bread & Roses has reminded us all of our obligations to our neighbours in need. Maine People’s Alliance was founded in 1982 (and officially incorporated in 1983) in the Lewiston/Auburn area with a focus on housing, rent and utility rate reform issues. In 1984, our sister organization, the Maine People’s Resource Center, was created. 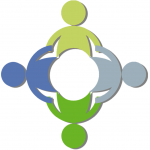 MPA’s purpose is to bring individuals and organizations together to realize shared goals. We focus on leadership development to increase the number of citizen leaders prepared to work for positive social change. We are known for our ability to do grassroots organizing and education that reaches more than 100,000 Mainers each year with direct personal contact and quality leadership development work that has yielded dozens of leaders and staff for MPA and other organizations. 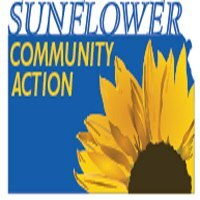 Sunflower Community Action is a Kansas-wide, non-profit, grassroots organization. We’re brown and black and white. We’re young and old, and have low to moderate incomes. We’re recent immigrants and families who have lived in Kansas for generations. Because we love Kansas and our communities, we bring a variety of issues that concern us. Together we take action for racial and economic equity. Our mission is to unite and empower people to achieve justice and equality for all, changing lives by developing grassroots leaders who identify problems and seek lasting solutions. 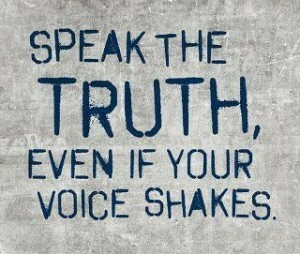 Sunflower members build power by taking action and holding decision-makers accountable. ACCESS is dedicated to empowering and enabling individuals, families, and communities to lead informed, productive, culturally sensitive and fulfilling lives. ACCESS has been serving the community for more than 40 years. Started by a group of volunteers in 1971 out of a storefront in Dearborn’s impoverished south end, ACCESS was created to assist the Arab immigrant population adapt to life in the United States. Today, ACCESS is the largest Arab American human services nonprofit in the United States. With eight locations and more than 100 programs serving metro Detroit, ACCESS offers a wide range of services to a diverse population. 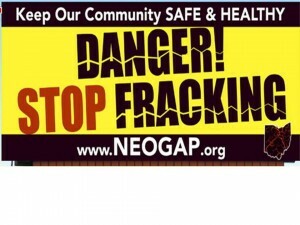 NEOGAP is organized to educate, empower, and advocate for the citizens of Ohio who are facing threats to health, safety, and property rights posed by oil and gas development. Vision Statement: We envision Ohio as a place where property rights and local control are fully respected; where oil and gas development throughout the state occurs using only methods that protect water, air, soil quality, and human health and safety; and where laws and regulations support this vision. Concerned Citizens Ohio is non-profit, grassroots group of small networks of citizens across Ohio dedicated to educating ourselves and others about deep shale petroleum production. Our mission is to collect scientifically based information about petroleum production with a particular emphasis on shale gas and oil drilling and production and to freely disseminate this information. We do our best to check sources to find information as reliable as possible. Our goal is to peacefully disseminate accurate information about all the aspects of petroleum extraction to as wide an audience as possible. We set that goal because we value our communities, our environment, our health, and believe that for citizens to make good judgments; complete, accurate information is essential. The mission of the Ohio Environmental Council is to secure healthy air, land, and water for all who call Ohio home. We help individuals, communities, and businesses go green, save money, and live healthier. Using legislative initiatives, legal action, scientific principles, and state-wide partnerships, we secure a healthier environment for Ohio’s families and communities. The Ohio Environmental Council is the state’s most comprehensive, effective and respected environmental advocate for a healthier, more sustainable Ohio. Our experts work daily to restore, protect and strengthen the quality of life for families and communities—from the air we breathe and the water we drink to the food we eat and natural resources we enjoy. A Just Harvest’s mission is to fight poverty and hunger in the Rogers Park and greater Chicago community by providing nutritious meals daily while cultivating community and economic development and organizing across racial, cultural and socioeconomic lines in order to create a more just society. 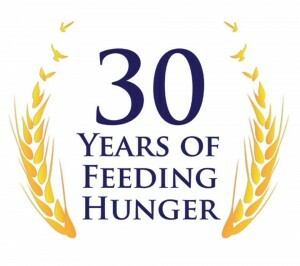 Through Northside P.O.W.E.R., created in 2004, as a result of a strategic planning process undertaken by A Just Harvest’s board of directors we want to be a powerful organization so that we can improve our community and be effective in the fight against hunger and poverty. We also want to provide opportunities for people in relatively powerful positions to be effective voices for social change through our work. SOUL is a social justice organization on the South Side and South Suburbs dedicated to the belief that all people ought to have decent, affordable housing, access to healthy, nutritious food in every neighborhood, a clean environment so our children will be able to breathe the air and drink the water, public transit that allows us to get to job opportunities, a full employment economy so everyone has the opportunity to work, and living wages so people who work full-time do not remain poor. 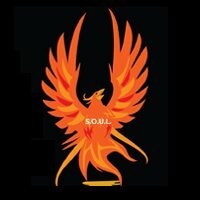 SOUL is working to build a movement to create change, starting on the South Side and South Suburbs. SOUL’s inclusive, multi-generational membership includes religious congregations, affordable housing groups, block clubs, students, and neighborhood groups across the South Side and South Suburbs. 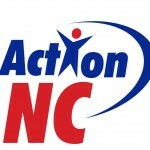 Action NC is a grassroots community organization that empowers low to moderate-income communities to take action and win victories on issues of concern to our communities. Action NC’s mission is to confront and reduce the root causes of poverty, underdevelopment, and social and economic inequality through grassroots education, training, organization and mobilization. Our priorities include: better housing conditions for tenants, living wages for low-wage workers, affordable health care, more investment in our communities from banks and governments, comprehensive immigration reform, and better public schools. We achieve these goals by building community organizations that have the power to win changes — through community direct action, negotiation, legislation, and voter participation. ACTION United was formed in January, 2010 by former members of PA ACORN and other concerned people in the state. Action United is a membership organization of low and moderate income Pennsylvanians working to build power through organizing communities to win changes on the issues that are important to them. ACTION United was formed to advance the interests of low and moderate income families around Pennsylvania on the issues that are of critical importance to us: economic justice for low income and working families; fair lending practices and a real solution to the foreclosure crisis; good schools; clean air and a safe environment ; and quality affordable health care. 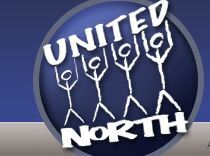 Action United’s 35,000 members are organized into 17 neighborhood chapters throughout the state. The Alliance for a Just Society’s mission is to execute regional and national campaigns and build strong state affiliate organizations and partnerships that address economic, racial, and social inequities. The Alliance (formerly the Northwest Federation of Community Organizations), is a national coalition of eight state-based grassroots community organizations. Our goal is to make the movement stronger by stimulating growth in others and promoting the collective work of our partners. No amount of individual good work will ever transform our society, nor can they equal or replace the efforts that build movement consciousness and capability in others. 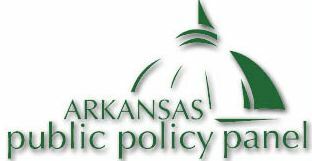 Arkansas Public Policy Panel is a non-profit organization founded in 1963. Arkansas Public Policy Panel is a state-wide organization dedicated to achieving social and economic justice by organizing citizen groups around the state, educating and supporting them to be more effective and powerful, and linking them with one another in coalitions and networks. The Panel seeks to bring balance to the public policy process in Arkansas. We work for social justice by helping community people to organize, to grow as leaders, and to influence public policy at the local level and the state level. 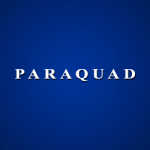 The Panel provides organizing, training, leader development and strategic planning services. In addition, the Panel also supports a diverse coalition of community groups and organizations that develop campaigns and lobby at the legislature as the Arkansas Citizens First Congress. The Granite State Organizing Project is the largest grassroots community organization in New Hampshire. We are comprised of 29 religious, community, and labor organizations, representing 40,000 New Hampshire families. Guided by faith and democratic values, we mobilize our many voices on issue oriented actions, building strong relationships and stronger communities. As the largest grassroots community organization in New Hampshire, GSOP unites to strengthen community members’ voices in decisions that shape their communities by taking issue-oriented actions. By doing so, GSOP broadens and deepens our own organizations’ leadership, builds community, and promotes a just society. The organization strives to create communities in which residents accept, respect, and value one another; justice, equity, and the democratic process are upheld in all interactions. Illinois Coalition for Immigrant Refugee Rights is dedicated to promoting the rights of immigrants and refugees to full and equal participation in the civic, cultural, social, and political life of our diverse society. ICIRR under the direction of our member organizations works on various programs and campaigns that empower the immigrant community in Illinois. In partnership with our member organizations, the Coalition educates and organizes immigrant and refugee communities to assert their rights; promotes citizenship and civic participation; monitors, analyzes, and advocates on immigrant-related issues; and, informs the general public about the contributions of immigrants and refugees. Massachusetts Communities Action Network (MCAN) is the federation of our Massachusetts affiliated organizations taking action together on statewide issues. 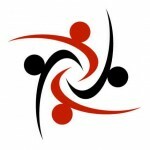 The Organizing and Leadership Training Center (OLTC) provides support to community organizations in New England states. We are a federation of community improvement organizations working for social and economic justice by putting our religious faith values and our democratic values into action. The organizations focus on leadership development as the key to building large scale involvement which gives the organizations the “people power” to gain support for their proposals for solving community and work problems. Missourians Organizing for Reform and Empowerment (MORE) believes that Missouri is positioned at a unique intersection of social, economic and environmental injustice. We believe that as corporate power continues unabated expansion and the gap between the rich and the poor widens, there has never been a better time for our low-income communities to come together and fight back. MORE seeks to be a powerful organization of low- and moderate-income people, building strength in our communities. We work in relationship with other organizations pushing our allies to engage in creative direct action with us to foster good policy changes. MORE seeks to be part of a movement that cuts across, class, age and race lines that is envisioning and building the world in which we would like to live. 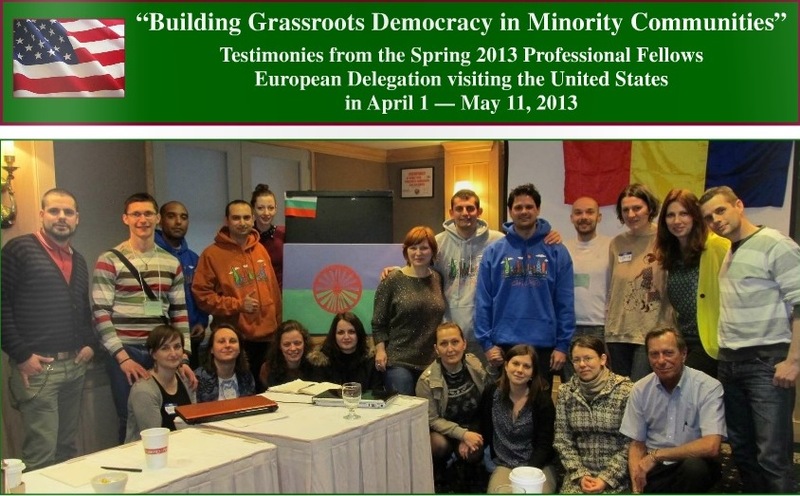 The first delegation with a total of 19 fellows from Bulgaria, Hungary, Romania and Slovakia visited the U.S. from April 1 – May 11, 2013 and participated in group seminars, round-table discussions, site visits, and had have interactions with United States leaders..
U.S. mentors will travel for a reciprocal visit to Europe. The Out-Bound component will include at least two American mentors’ teams to travel to Europe (between June 2013 and March 2014) for up to 21 days to provide joint workshops with the alumni and on-site consultation and fieldwork, and conduct wider outreach programs. 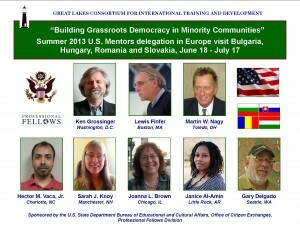 The first U.S. mentor group will travel to Europe from June 19 through July 17, 2013 with 8 Americans who hosted, trained, worked with the European participants of the Spring 2013 delegation. Americans will work with the European alumni in providing workshops, assist with consulting and mentoring. They will be involved in field experience and learn about best kayak reviews minority issues and gain cultural experience in Europe. They will have an opportunity to share professional expertise and gain a deeper understanding of the societies, cultures and people of other countries. This citizen civic exchange will promote mutual understanding, create long-term professional ties, enhance the collaboration between GLC and its partners. The second European delegation is expected in the U.S. from September 29 – November 9, 2013. 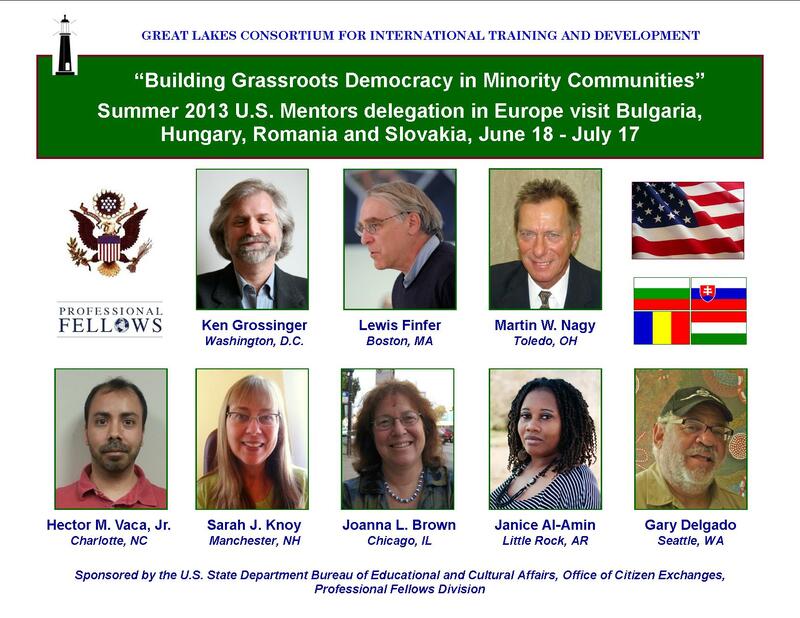 The Great Lakes Consortium – through WSOS Community Action Commission, Inc. – as Contract Agent and Manager – received a grant for a two-way exchange between September 2012 and August 2014 from the U.S. Department of State for the “Building Grassroots Democracy in Minority Communities” with at least 32 participants from four countries of Europe and for 18 U.S. mentors.